This year is Carena Ravenel’s first year of Journalism. 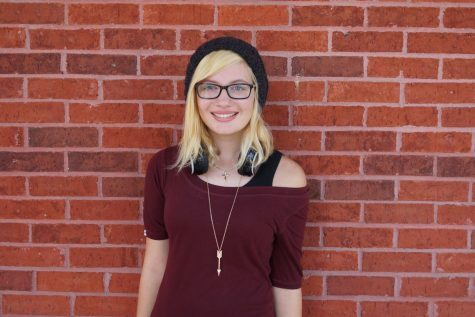 Carena’s family and friends describe her as, “Insane, beautiful (yeah, right), quirky, intelligent, edgy, and relatable.” She spends her free time hanging out with her best friends, singing, riding horses, reading, writing poetry, listening to music, and studying. Occasionally in the privacy of her room, Carena likes to reenact her favorite show tunes. She lives with her parents and four other (very annoying) siblings. Try as she might she never can get a moment of peace when at her hectic home. Luckily, she has the opportunity to hang out with her best friends all the time. Carena hopes that the next four years of torture, otherwise known as high school, are bearable and memorable. Please pray for the remainder of her sanity these upcoming years. She desperately needs it.